특강을 개최합니다. 관심있는 분들의 많은 참여 바랍니다. 온라인 사전등록은 4월 16일 (화) 오전 9시까지 입니다(마감일 이후에는 현장 등록). 온라인 사전등록을 하시면, 번거로운 현장등록절차 없이 강연장으로 입장하실 수 있습니다. by H.E. 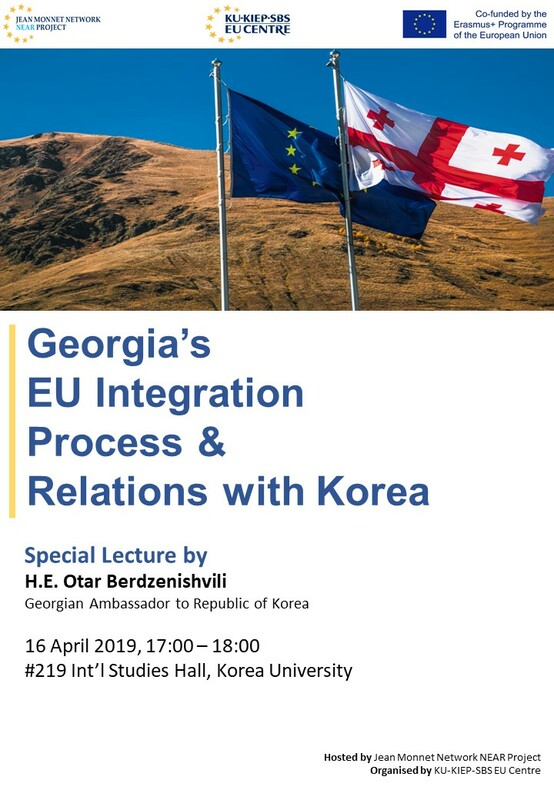 Otar Berdzenishvili (Georgian Ambassador to Republic of Korea). We cordially invite you to attend this honouring lecture and look forward to seeing you. https://forms.gle/7ADV6PzNnp3yKjQR7 by Tuesday, 16 April 2019, 09:00 AM.